A Midsleeper is a raised bed offering masses of functional room under the bed for storage or play which makes it a great spafgfce saving bed. 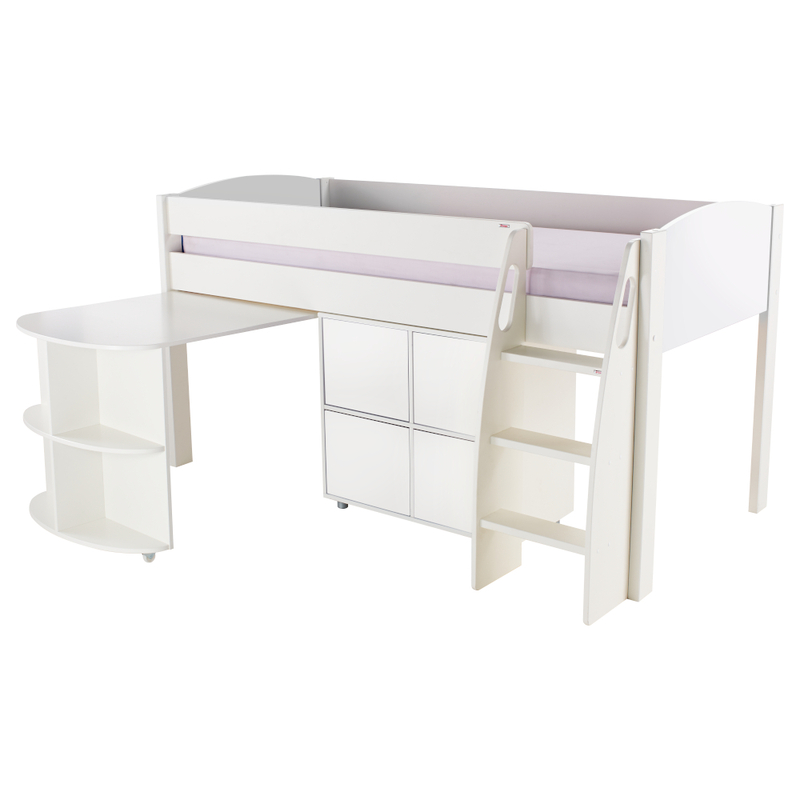 Includes Uno S Midsleeper with Pull Out Desk and Cube Unit with white doors. Includes four White sleek lined push-to-open doors. This bed takes a continental sized mattress 900x2000mm and should not exceed a depth of 15cm - see our choice of Stompa mattressess.